A beautiful quote that shows the importance of friendship. Friendship is everything. It is the laughter and joy of life. 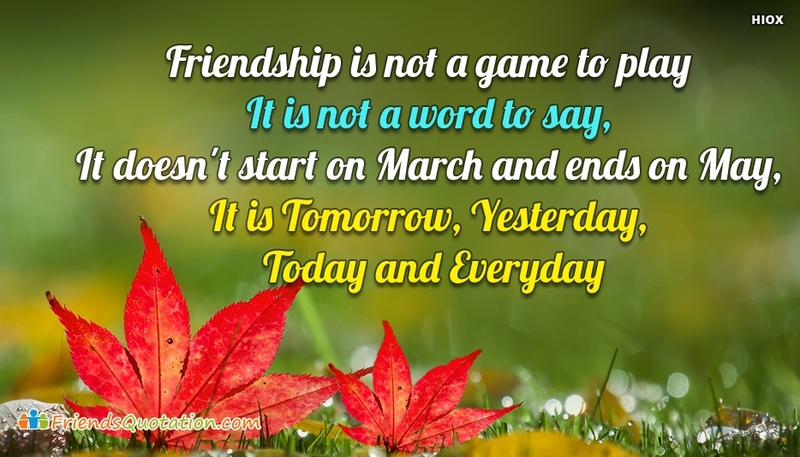 Free download and share this "Friendship is Not A Game To Play, It is Not A Word To Say, It Doesn't Start On March and Ends On May, It is Tomorrow, Yesterday, Today and Everyday" image to your best and close friend to make your friend understand the love you have on her/him.